Specializing in ONLY pre 1983 (with exceptions) Japanese and British vintage motorcycles. That’s all we do as we believe that shops should stick to what they are good at and not try to do everything just to make a buck. However, if your engine was designed in the 60′s or 70′s but manufactured in the 80′s… we will also be able to help. 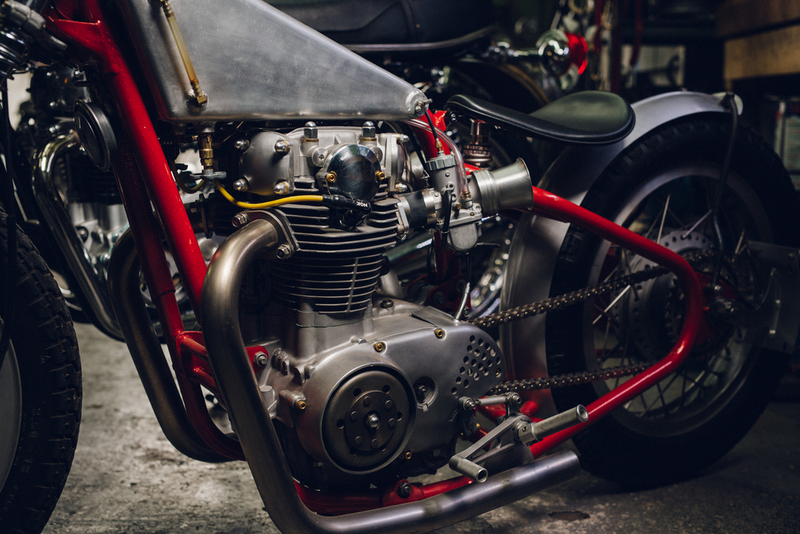 We offer full restorations, engine building, electrical, carburetor rebuilds, chassis upgrades, cafe racers, bobbers, street trackers or just maintenance to help keep these old machines on the road. We RARELY sell motorcycles, but we do have donors with titles and we will always be happy to build one up from scratch for you. The Limey does have a huge thing for the Yamaha XS650 and the 500 singles, so you could say it’s a specialty. A motorcycle camping extravaganza in Texas! Love information? Take a stroll through articles that span 40 years worth of experience. Do you love eye candy? So do we! Limey Bikes is a full service shop that does everything from oil changes to full restorations on pre 1980 Japanese (and sometimes British) motorcycles. We offer everything from wheel building, powder coating, engine building, performance tuning, ultrasonic carb cleaning, electrical, polishing, bead blasting and anything else you can think of that’s involved in getting these old machines back to how they should be. 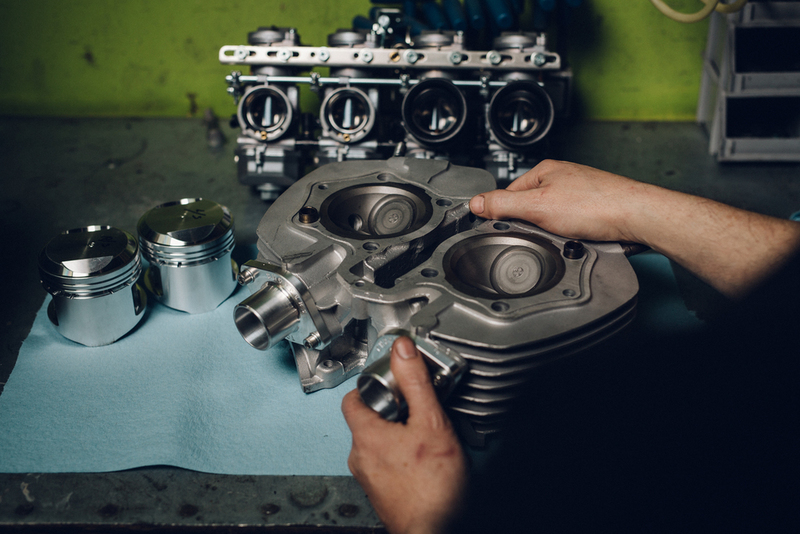 Complete or partial engine building to stock or for performance with a choice of finishes including; bead blasting, polishing, powder-coating or enamels. We do all the routine service stuff too. Everything including; tires, chains, oil changes, carb syncing, cables, plugs, batteries, etc. etc. We can get most old carbs to work and look like new with our Ultrasound cleaning system. It really is the best way to clean carbs and the results are amazing! There are many ways to get a bike to be quicker, and often the ones people choose are the wrong ones. We offer advice on the best bang for your buck, as well as things like gas flowing, ignitions, carbs and weight loss. The Limey has completed several full restorations of vintage Japanese bikes and will happily take on full ‘back to factory’ restorations to make your 40 year old bike look and perform like it was when it was new. Want something a little different? We can help. The Limey can build you what you want the way you want it. 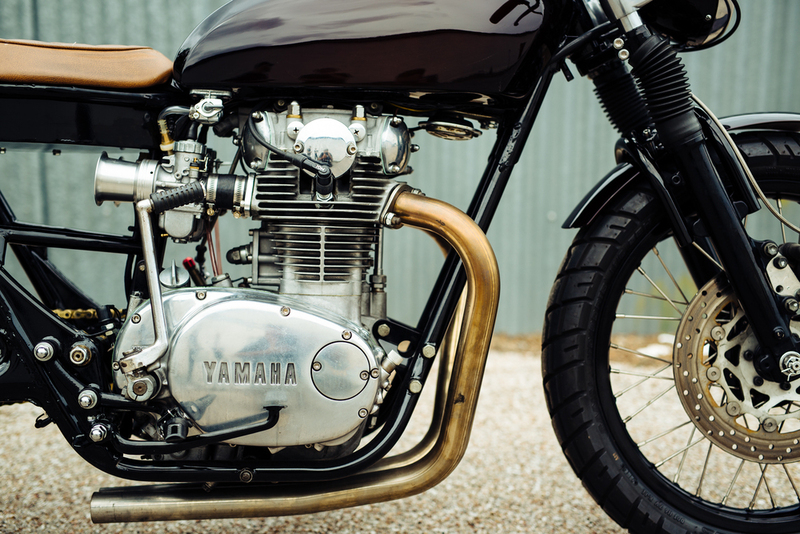 From a full on road-racer to a simple bobber, the Limey can create beautiful things that perform as well as they look. We can fix charging issues, shorts and any other gremlins that you may have. We use OEM connectors, so you will never see a crimp connector from us! We can also do simple custom wiring harnesses for custom builds. Limey Bikes’ hourly rate is $85. We simply charge for as long as it takes to do the job properly with no hidden extras and no huge mark-ups on parts. Over 30 years ago Chris "The Limey" Kelland straddled his first motorcycle, a Yamaha FS1E "Fizzy." From that moment onwards his love affair with bikes bloomed and in the 1980s, Chris opened his first motorcycle shop in Great Britain. Originally a Texas native, Elijah was first an academic, studying philosophy and engineering. His love of working with his hands, and tinkering with machines, swayed him away from academia and towards a life grease, gas, and speeding tickets. Elijah is well versed in numerous aspects of motorcycle maintenance including light fabrication, vintage maintenance, and especially engine building. Although fully certified on a number of modern European brands Elijah prefers the mechanical simplicity and ingenuity found in cantankerous old bikes. He joined Limey's shop in 2012 and continues to brighten the shop with shenanigans and occasional good ideas.